In 2018, MSPs’ share of labor sourcing will continue to rise as MSPs employ more mature analytics applications and expand capabilities in services procurement, total talent management and consulting. Everest Group reports that the use of contingent workers across the globe continues to grow at a steady pace—with 2017 ending with a projected growth in contingent workforce management spend of 9-11 percent over the previous year. 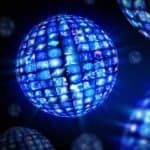 Managed service providers (MSPs) and the technology solutions they provide play key roles in bringing together employers and contingent workers, contributing to the steady growth in enterprise use of contingent labor worldwide. In fact, global MSP managed spend for 2017 is projected to be 11 to 13 percent higher than in 2016. Implementing more mature applications of analytics, not only using descriptive analytics to gain useful insights but also applying predictive analytics to predict trends and recommend appropriate actions. Expanding the scope of consulting and value-added services to include talent engagement, talent attraction, technology strategy and implementation, and process re-engineering. Improving operational efficiency with an increased focus on offshoring, creating centers of excellence, applying robotic process automation and leveraging add-on tools for video interviewing, assessment, background screening and onboarding. Offering total talent management—holistic management of all of the talent needs of an organization, including permanent employees. Reduced costs: MSPs offer cost savings through process efficiencies, economies of scale, quality assurance, enhanced visibility of spend throughout the organization, and knowledge of wage rates in the market. Compliance: MSPs manage regulatory requirements, minimize non-compliance risks, and help the enterprise enforce its own corporate policies across divisions by centralizing all requests for temporary labor. 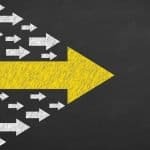 Access to talent: MSPs use branding, communication, direct sourcing services, and access to suppliers to help enterprises source hard-to-find talent. They also play a key role in the candidate experience, ensuring that potential workers have a smooth and easy hiring experience. Technology: Enterprises typically have limited technology to support the hiring of contingent labor, so MSPs provide access to cutting-edge technologies such as advanced predictive and prescriptive analytics for staffing and artificial intelligence (AI), machine learning (ML) and natural language processing (NLP) for generating best matches in the shortest possible time. 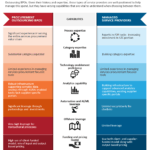 These findings are discussed in more detail in “Managed Service Provider (MSP) – Annual Report 2018: Towards the Next Frontier – Boldly Going Where Few Have Gone Before.” The report includes an overview of the temporary labor market, including market size and adoption; an analysis of the evolving market situation; key themes of future development; and buyer adoption trends.